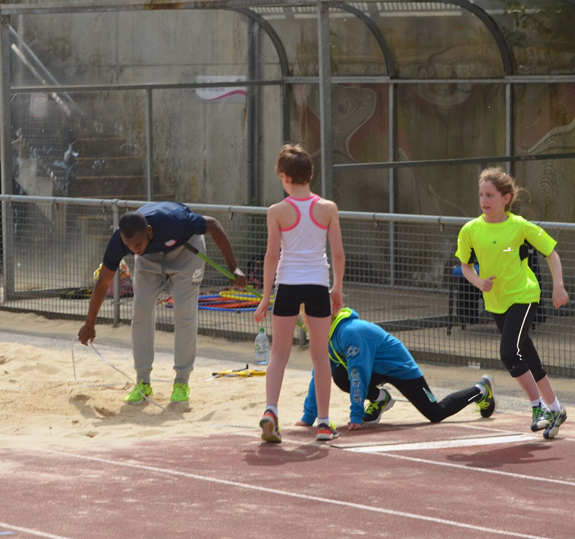 For our Aspire to Greatness athletics camp, the emphasis is absolutely on fun and movement! 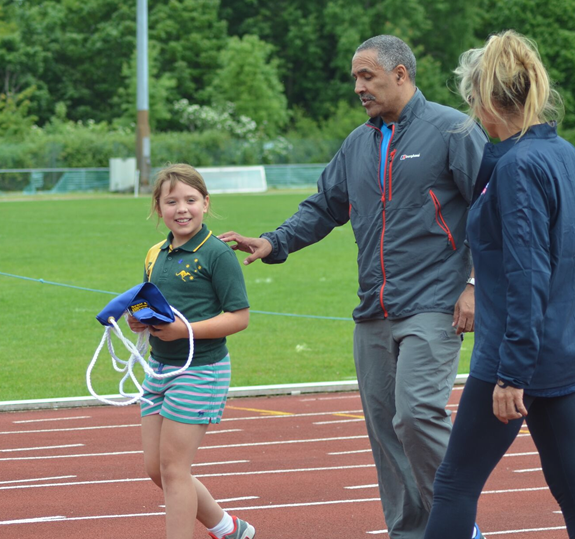 We ensure children already involved in athletics, as well as complete novices are catered for and given the best professional attention by elite level athletes and coaches. 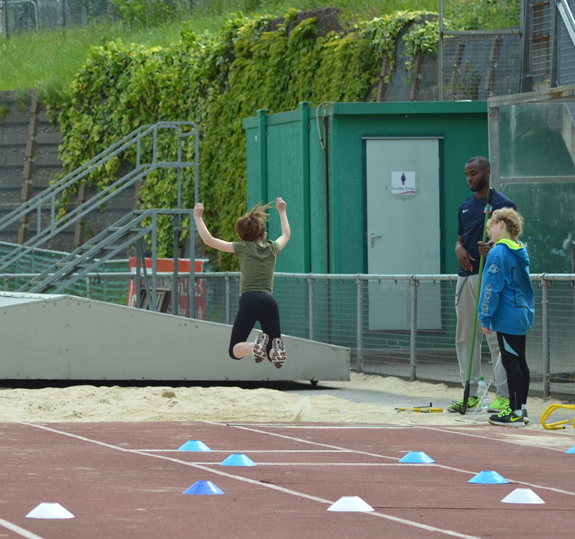 They will have a thrilling time burning off energy through lots of engaging activities and plenty of running, jumping & throwing with GB athletes. Burning energy and having a blast! My 8 year old son attended the Aspire To Greatness Academy at the Guilford Spectrum during the May half term and he still speaks about the experience with great animated excitement. I wasn’t sure what to expect when signing up, but obviously as Daley was behind the venture I was optimistic that it would be a fantastic experience. The organisational staff along with the expert coaches who all Gb Athletes were all so accommodating and amazing with the children. It is so rare these days to find such a level of coaching mixed with an enormously positive style of delivery, whereby all ages and abilities were made to feel like super-stars for the day. 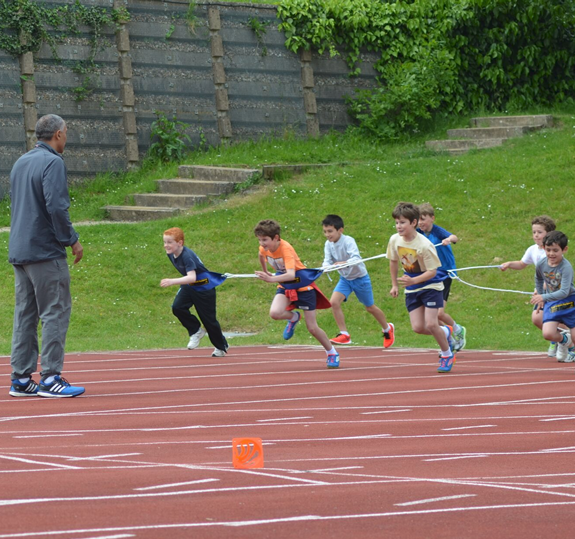 I can’t recommend the Academy highly enough for any children interested in learning more about Athletics, just burning off loads of energy in the most fun social environment or sport in general! As a boy in the 80's, I idolised Daley Thompson, seeking his autograph at AAA meets at Crystal Palace and dreaming of Olympic glory. 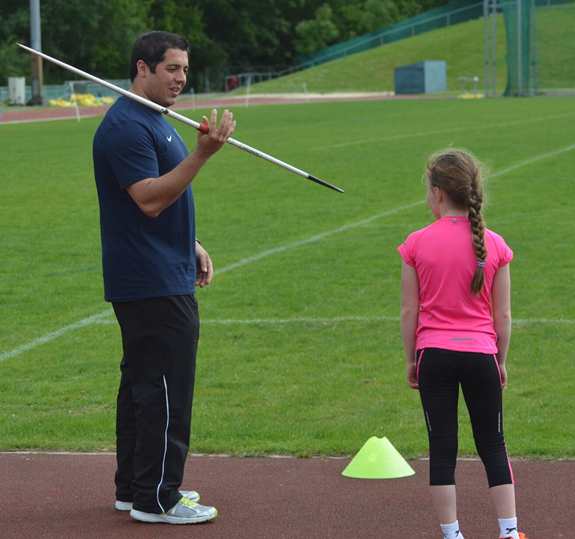 Fast forward to today and our children need the opportunity to understand the techniques involved in athletics, together with the fun of training and improving with friends and coaches. The Academies fill a gap often missing in 'normal' PE classes in school. I took two of my sons to the Guildford Spectrum day in May and have since taken the boys to the summer school too. The boys absolutely love it! The mix of fun and technique is perfect. The coaches are very approachable, and clearly like working with children (and have endless patience). My sons have taken the running, jumping and throwing skills back to school and now have a real, and growing enthusiasm for athletics. Maybe they will not represent their country in the future…but they will know how to triple jump, how to sprint and which is the pointy end of a javelin. If we give our children exposure to new opportunities we give them the best possible start in life. Want to find out how Aspire To Greatness can provide an unforgettable break for the young athletes in your family? Get in touch with us now to find out more. Due to our small groups and high-demand of spaces, we recommend booking early to avoid disappointment. We look forward to speaking with you.